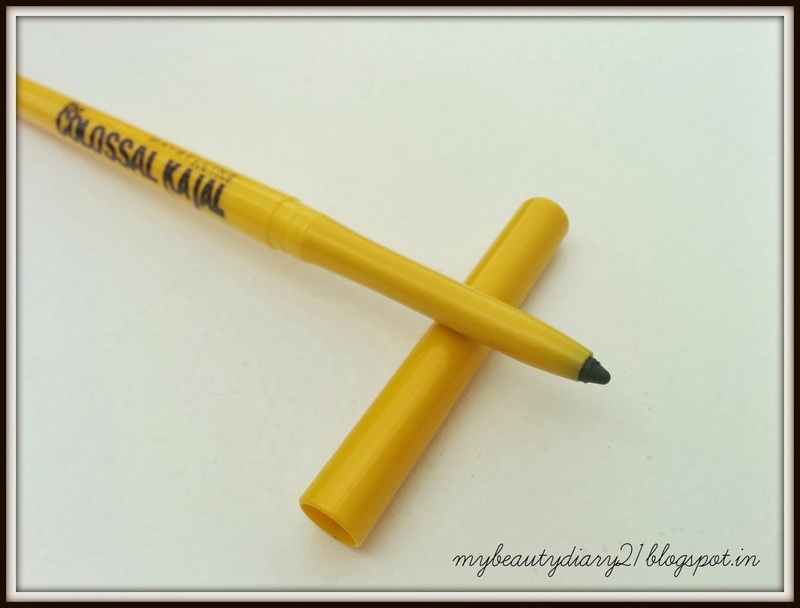 Shadow sticks can be great tools for beauty on the go. 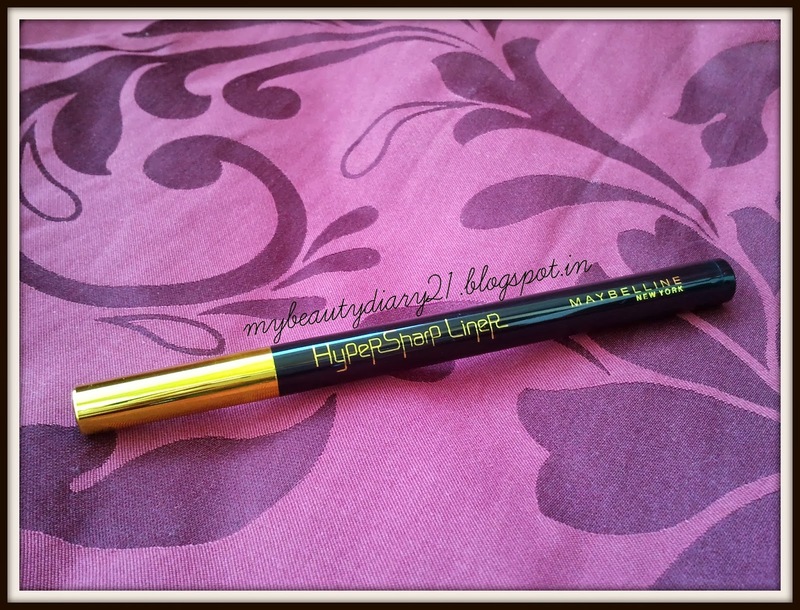 A golden color shadow stick can be great for both day and look. 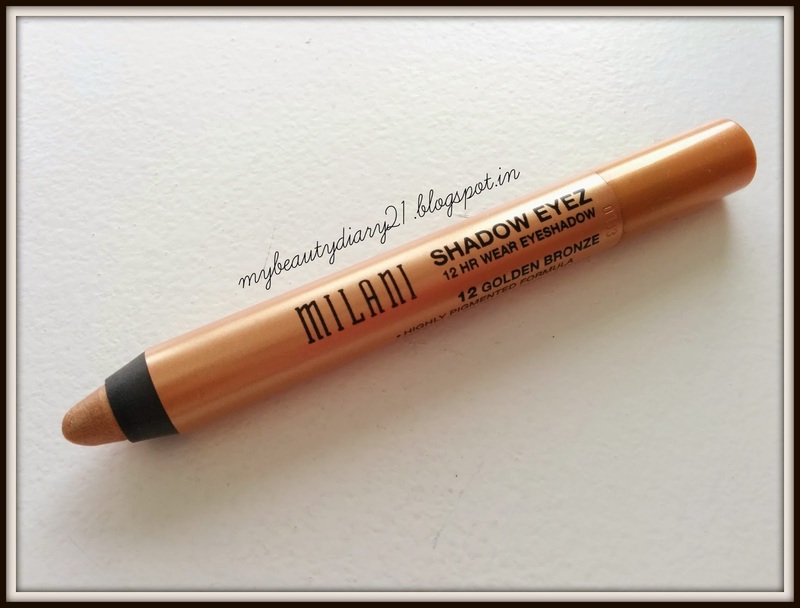 So I got my hands on Milani's Shadow Eyez in Color number 12,Golden Bronze. 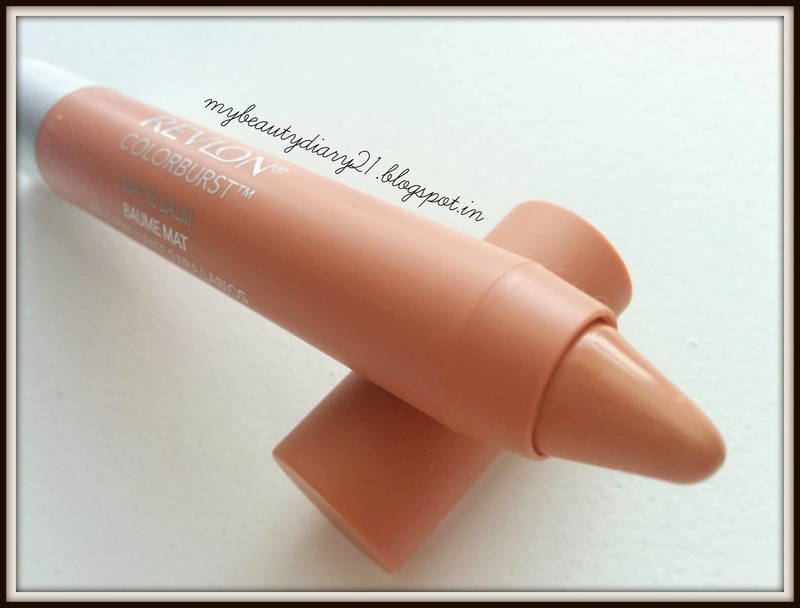 Revlon is a very well respected brand for drugstore makeup specially for lip sticks. They provide a great range of color in a variety of textures. So I tried their Matte Balm lip stick in color number 230 Complex from their ColorBurst Collection. I will be reviewing this product today in this post. 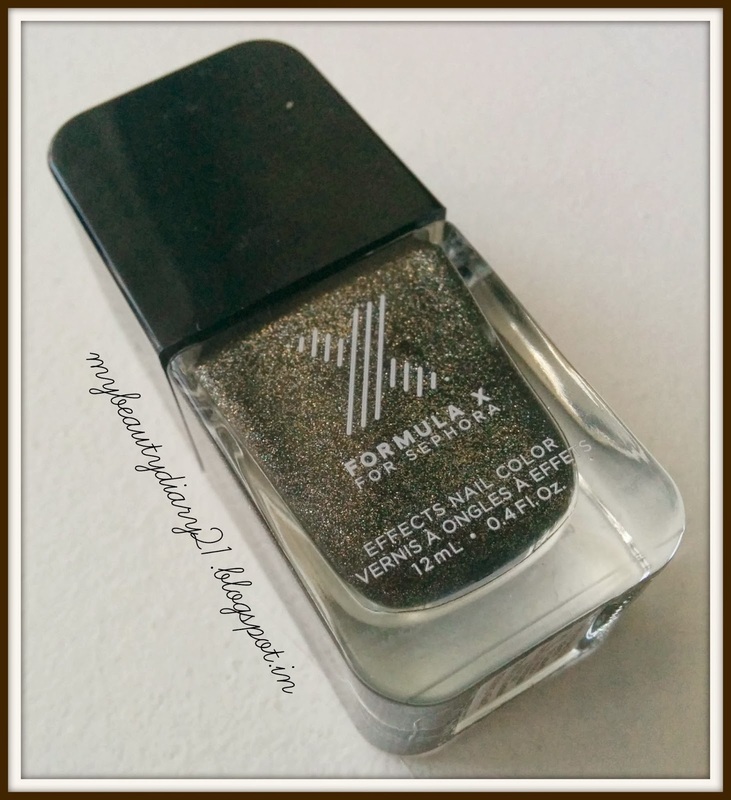 Today I will be reviewing a nail polish by the brand Formula X. This brand was developed by Sephora, which is the biggest luxury beauty retailer in USA. I have never tried anything from them before and also I am not into glitter nail polish. But as a challenge I decided to buy a glitter nail polish from Formula X.
I have been looking for a shadow stick in champagne color for on the go. And finally I found the one!! 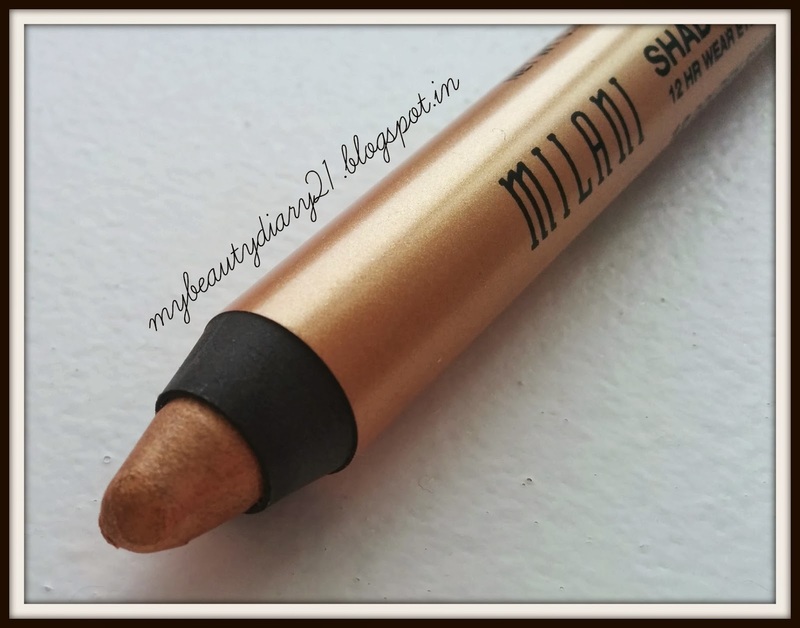 So I will be reviewing Milani Shadow Eyez Shadow Stick in the color Champagne Toast. 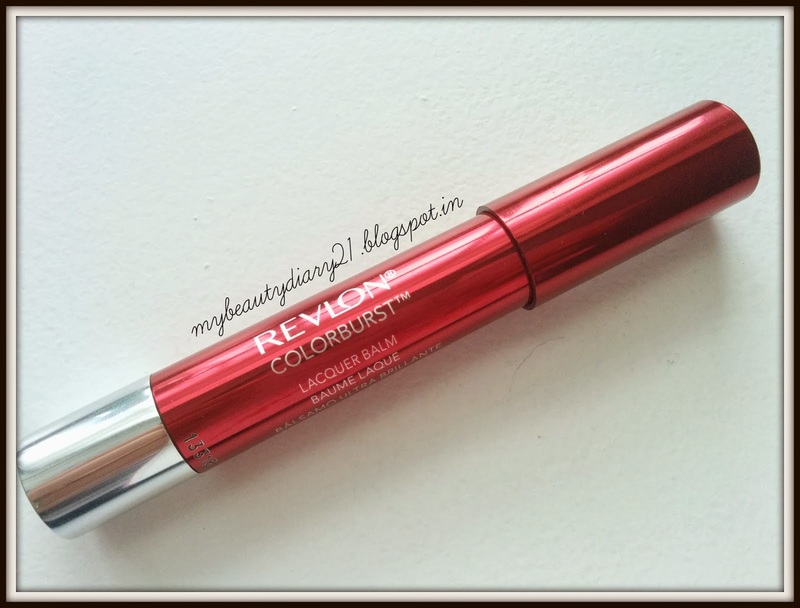 In my quest to find good affordable lip colors I stumbled on Revlon's Color Burst Lacquer Balm in Enticing. I have tried their Balm Stain in Cherish and I hated it. 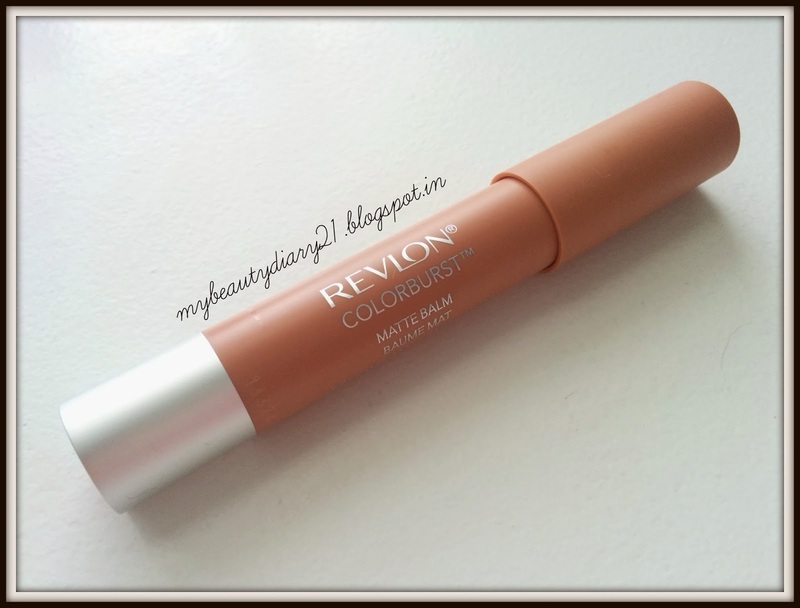 I have also tried their Matte Balm in Complex and I was very disappointed. Lets see what this product holds for us today! 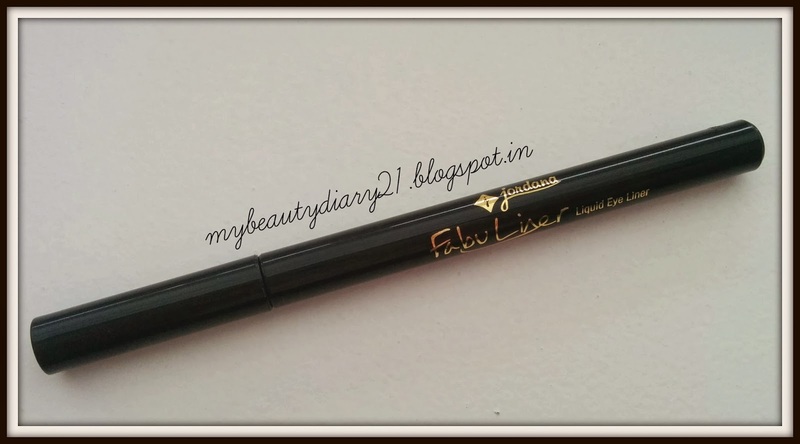 After trying Jordana eyeliner which I have reviewed here, I decided to try their lip liner in Baby Berry and loved it. So in this post I will tell you why! Bold Lip colors is not everyone's cup of tea. I have always stayed loyal to warm toned lip colors but decided to step out of my comfort zone and try something bold. 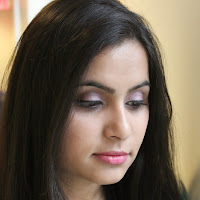 So for this experiment I chose Shocking Coral from Maybelline's ColorSensational Vivids Collection. So that is what I will be reviewing today. Since a little girl, I loved skincare. My friends and I used to experiment with homemade masks and review over Monday lunch break. Well I guess the little girl in me has refused to grow up :p And thanks to organic skin care brands, it has taken the obsession to a whole new level. 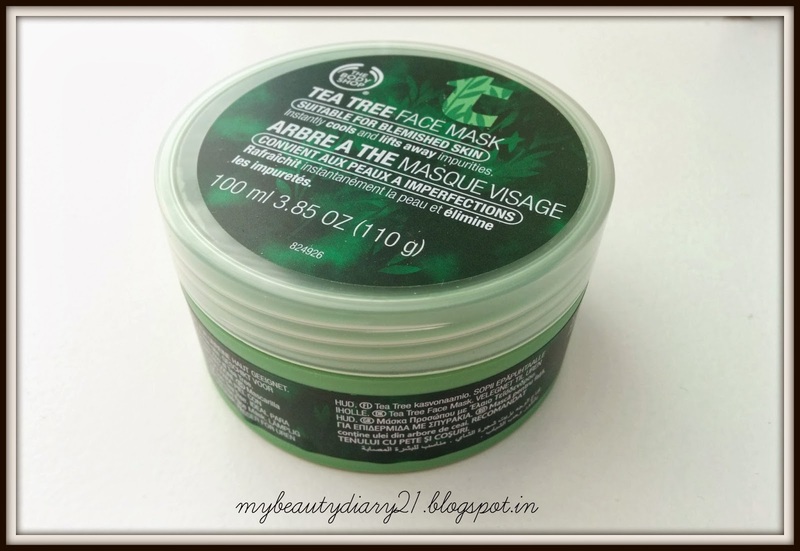 Last night I tried Tea Tree Face Mask by The Body Shop for the first time and I adored it!! Only recently I started applying heat to my hair on a routine basis, and I am kind of addicted. But putting heat on my hair has been harsh for them. But I had a savior by my side. 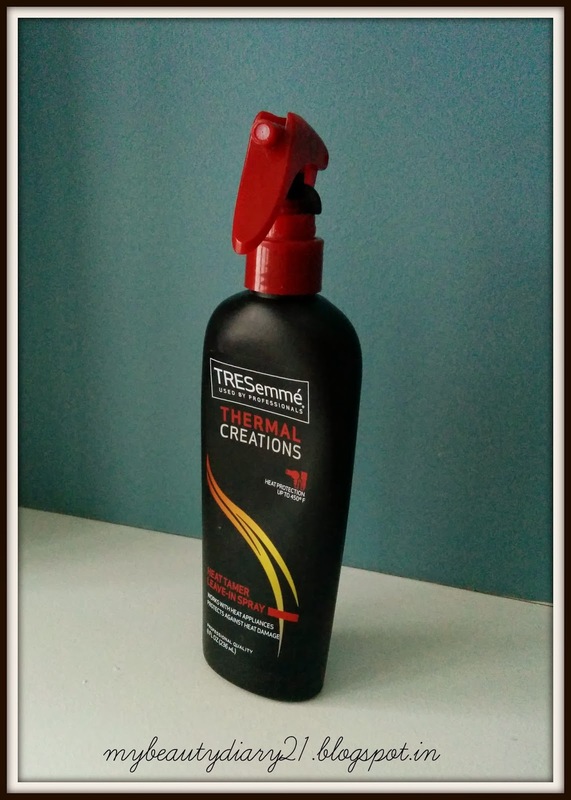 Tresemme's Thermal Creation's Heat Tamer Leave-in Spray. 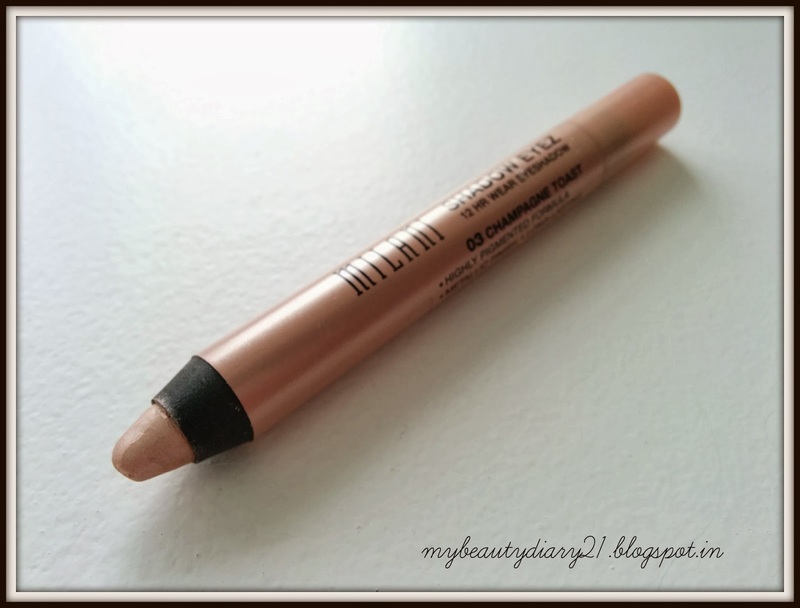 I have been using this product for quiet some time now and can really vouch for it! Works with any heat appliances. Heat protection up to 450 deg F.
Keeps hair shiny and soft. My eyeliner obsession has a new victim. This is the first time I have tried something from Jordana and I was really impressed. After hearing a lot of hype on You Tube I decided to give Jordana's Fabuliner a try. I had really high hopes from this product it somehow manages to shine as brightly has I had expected it too. 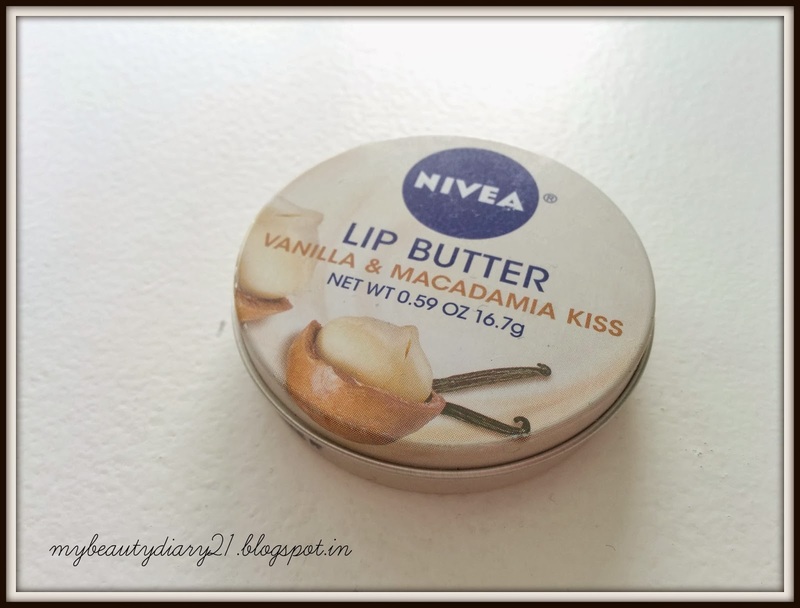 Today I will be reviewing Nivea's Lip butter in Vanilla and Macademia Kiss. Before dwelling in to the review, I would like to tell you a little about my lips. I have really really dry lips. So I have tried many lip balms over the course of years. I have never felt like splurging on higher end lip balms like Dior Creme de rose etc., because Nivea lip balms always had me covered, no matter which one I picked up. I think Nivea lip balms in-general are great. But this Nivea Lip Butter is just AWESOME! I never thought I would be able to do a winged eyeliner. I always envied the retro bollywood look of Sharmila Tagore but thought it was unachievable for me. But my notions were falsified by yet another maybelline baby. 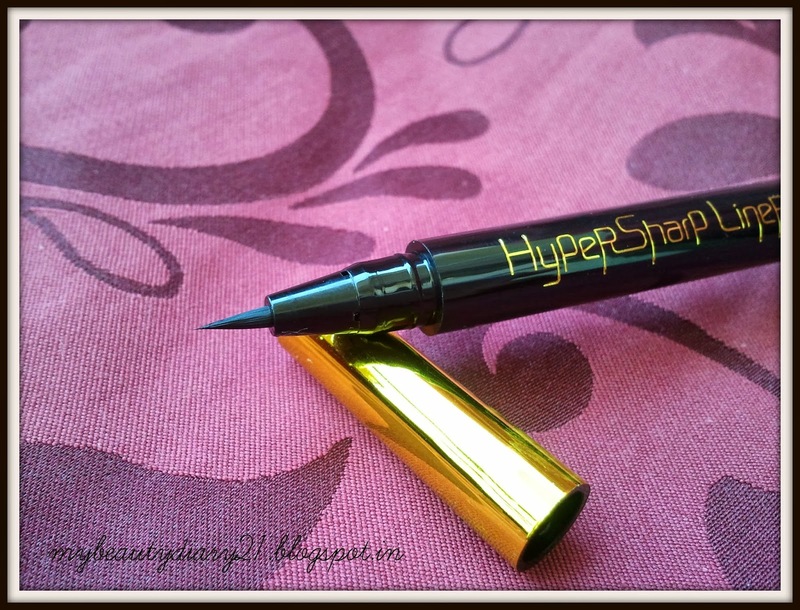 Introducing Maybelline Hyper Shape Liner. I love love love this little guy!! 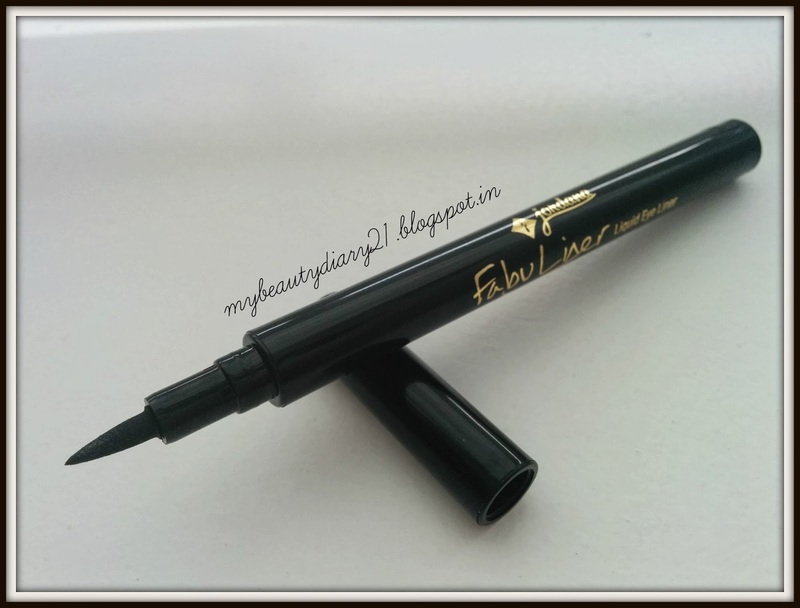 Considering buying Maybelline Colossal Kajal? Look no more. 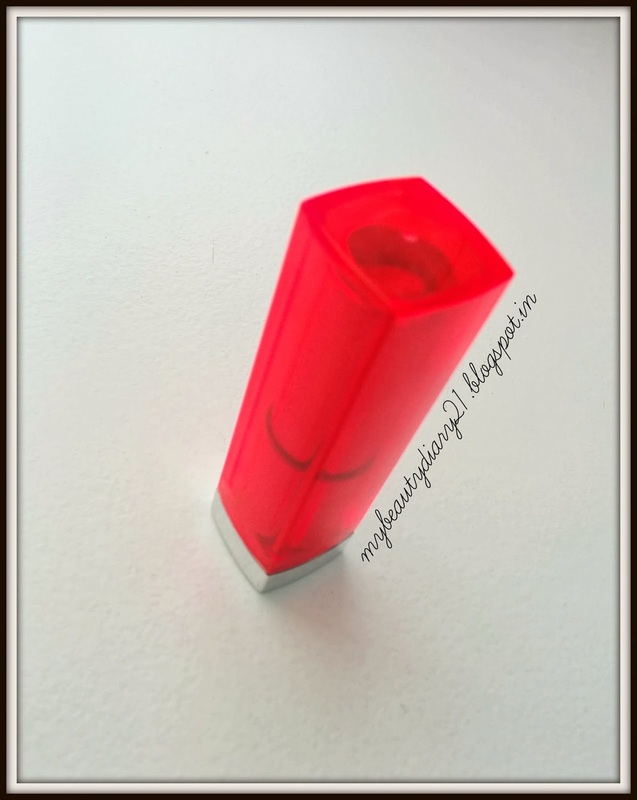 Maybelline has done a wonderful job with this product, bringing a simple hassle free makeup product for us girls on a budget. Continue reading and you will know why I say this!! 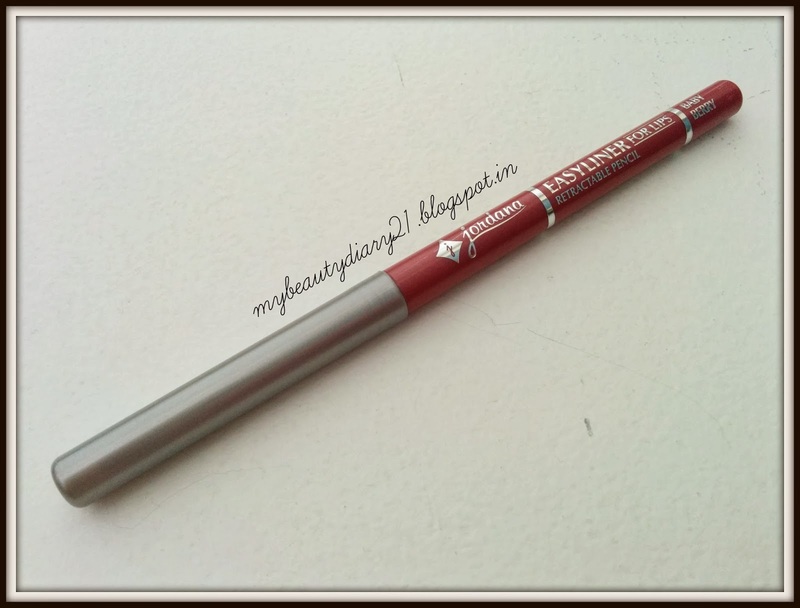 I prefer to use this product as an eyeliner rather than a kajal because I have sensitive eyes. As an eyeliner it is not too glossy, it is not too matte. It is just perfect. I have oily eyelids but it stays all day on my eyelid without smudging. It does not transfer to my upper eyelid during the entire day. For Rs. 175 what more can I ask for!! This is a perfect product to take with you on the go. Throw it your handbag and you will be easily able to find it, thanks to its yellow packaging. It is a mechanical pencil, so need to mess around with a pencil sharpner. I think it is a must have in any girl's makeup collection! Every evening after coming back home from work, I cleanse my face religiously, after which I don’t put any makeup on if I have nothing more planned for rest of the evening. 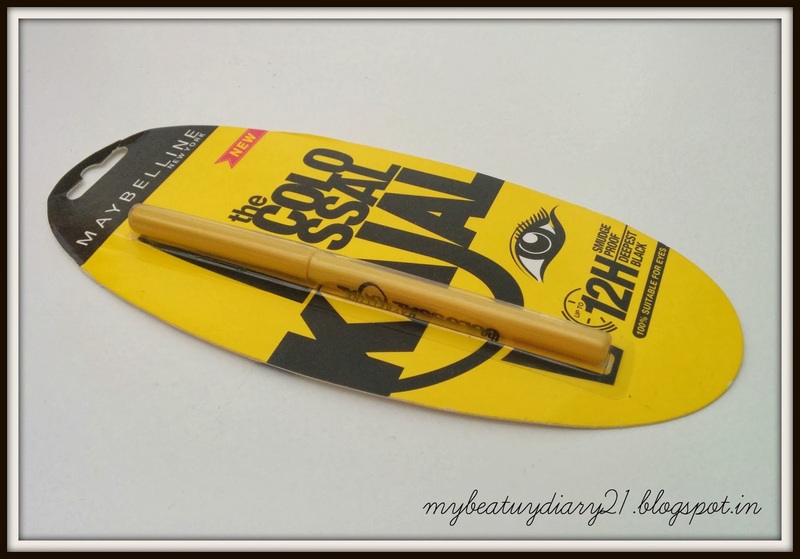 But since I started using Colossal Kajal, I can’t resist wearing it in the evening and my husband loves it too. It makes me feel beautiful without feeling fake. It is like a natural extension to my eyes. I have steered a number of girls I know to this product, and they all have loved it. I am currently on my fourth stick, and I already have 2 backups. If some day Maybelline decides to discontinue this product, I am sure will shed a tear or two. That’s how much I love it. I give it a thousand thumbs up. It will make you look beautiful without burning a whole in your pocket.